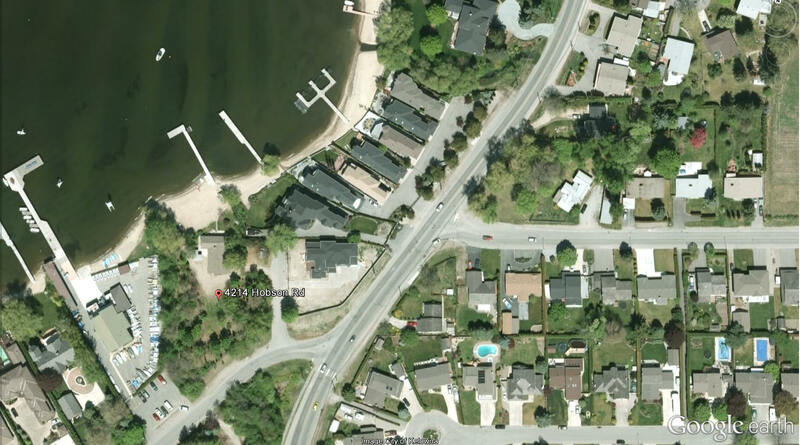 Okanagan Lake Level Lakeshore with over a 120 feet of waterfront on prestigious Hobson Road. Large 0.89 acre level lot. Sandy beach, boat dock and lift. Original home was built in 1923 with additions completed in 1992 to accommodate the current owners growing family. Wood lined walls and ceiling in the home create an inviting cozy feel, combined with the recent updates for comfortable lakeside living. 4 bedrooms and 2 baths. The property offers a quiet sandy bay with mature tall standing trees that add privacy and shade. A stunning property to build your dream home or use as a vacation retreat.